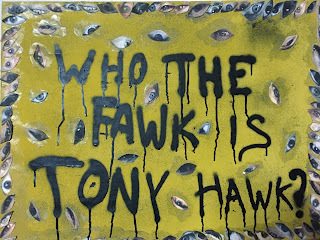 WHO THE FAWK IS TONY HAWK ? I REALLY DONT KNOW . 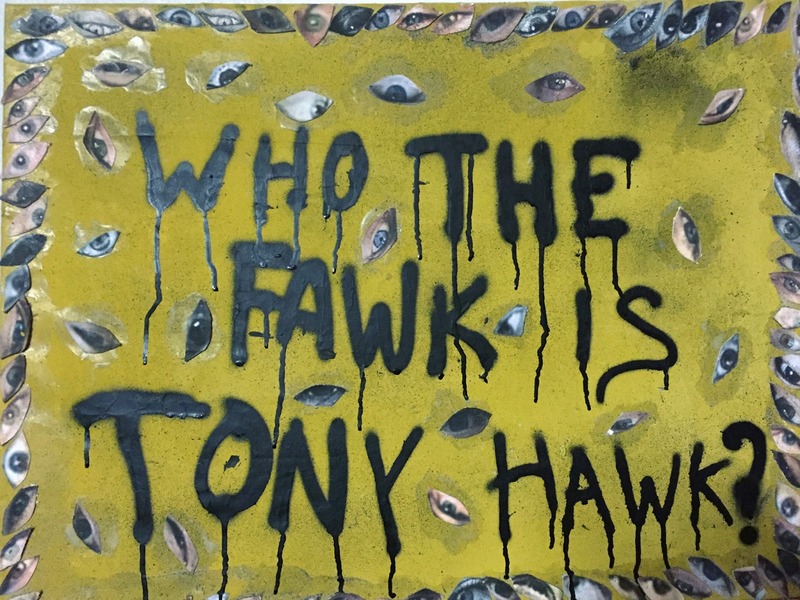 THE SERRIE OF TWO PAINTINGS WICH WERE DONE AFTER OUR CONCERT WE HAD WITH A BAND CALLED WHO THE FAWK IS TONY HAWK . I MADE IT WITH THE KOLAGUE FROM REST OF THE MASKS WE USE FOR GIG . ALL EYES AND MOUTH ARE FROM PRO SKATERS . THE PREFORMANCE OF OUR GIG WAS THATH WE MADE AROUND 70 MASKS FROM PRO SKATERS AND WE GIVE THEM TO PEOPLE TO WEAR THEM IN THE CONCERT . AND ONLY ONE MASK WAS A FACE OF TONY HAWK . AND WE SEARCH FOR HIM . AS I REMEMBER WE DIDN,T FIND HIM . BUT MY MEMORY THIS DAY IS NOT GOOD . 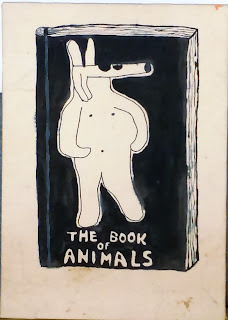 THE SERIE OF DRAWINS ON CANVAS . THIS IS THE FRONT PAGE OF THE SERIE . I DONT KNOW WHEN I WILL FINISH IT . BUT I GIVE YOU JUST THIS NOW.